Motorized wheelchairs, also referred to as power or electric chairs, are best suited for individuals who do not have strength or functionality in the upper torso and arms to operate a manual chair. 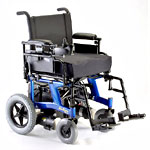 Power wheelchairs come in an array of models with different features, and are suited for both indoor and outdoor use. You will find front, center and rear-wheel drive models and each offers specific attributes for handling. Front-wheel drive models are easily maneuverable and are best for a combination of indoor and outdoor use at lower speeds. Large wheels are positioned just in front of the seat, which allow the chair to traverse bumpy surfaces. Center or mid-wheel drive wheelchairs are best for indoor use and navigating smaller spaces. These power chairs have six wheels -- two larger wheels affixed to the based and 4 smaller wheels surrounding them. Rear-wheel drive wheelchairs are not as maneuverable as front-wheel or mid-wheel models; though, they provide a stable ride and are good for all-purpose use. While these mobility chairs feature the largest turning radius, they can be used at higher speeds, are able to handle additional weight, and more easily navigate inclines. In addition, motorized wheelchairs offers a range of seating to accommodate individual needs. Some models look more like manual wheelchairs with a sling-style seat and frame, while others have a thickly cushioned captain’s chair with padded armrests. Consult with a healthcare provider and discuss your ability to handle and manage the chair's controls. Controls may be a standard joystick or a chair equipped with sip and puff control mechanism, specialty switches and other devices. Ensure your vision and depth perception are adequate enough that they allow you to correctly judge distances and widths when operating the chair. Assess your residential surroundings to ensure they are conducive to a power chair with adequate-sized doorways, accommodating rooms and hallways, and manageable thresholds. Other considerations include a place to store your wheelchair, as well as access ramps in your home and vehicle. When you are ready to start looking at power chair models, make a list of two or three power chair sellers (retail and online) to contact. Identify the chair sellers based on reputation, years in business, referrals and/or references, and selection options. It is important that you personally "test drive" a number of motorized models to evaluate and compare their ease of use, level of comfort, functionality and available features, as well as pricing. 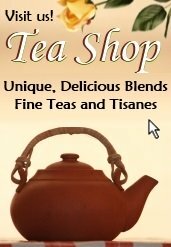 Then, learn as much as possible about the the terms of sale, chair servicing, accessories and options. What type of warranty comes with the purchase? When will the chair be delivered? Will the chair come fully assembled? 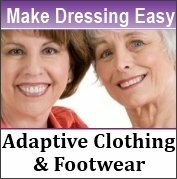 Will in-home training be provided? Is a battery included in the purchase price of the chair? How will maintenance and repairs f your chair be handled and is in-home servicing provided? 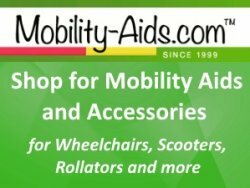 Will a loaner motorized chair be available if your wheelchair needs to be taken away for repairs? Will the seller obtain the necessary insurance paperwork and file your claim, if requested?